Nanny jobs-is nanny work for Me? 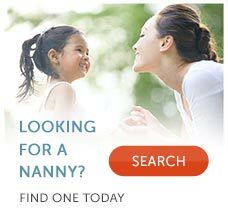 There are many different types of nanny jobs available, so finding the right job depends on what you are looking for. Like when searching for any job, to be successful you need to have a clear understanding of your skill set, strengths, weaknesses and long-term goals so you can find a suitable position. Learning to showcase your best assets is crucial if you are looking for a rewarding, comfortable, long-term nanny position. Nanny jobs are not right for everyone, so be sure to carefully consider if in-home child care work is right for you. Are you qualified to be a nanny? Most parents are looking for a nanny with significant, successful nanny experience. If you have worked as a nanny before, you should make a list of what you liked best and least about each job to help you determine your ideal nanny position. Experience is only really valuable to your employer if you have learned something from it, so take time to review your past experiences and consider how you have grown from them. What is your background? Even if you do not have actual nanny experience, parents may be eager to hire you if you have significant childcare experience as a babysitter, teacher, daycare employee, or nurse and have the supporting education, like a degree in early childhood education or a related field. Why do you want to be a nanny? When working with children in their private homes, it is essential that your motives for doing so are genuine. Many people wish to become a nanny because they think that caring for children is an easy way to earn a paycheck. When they learn how demanding the work can be, they quickly become disgruntled. Parents wish to hire nannies who love working with children, but being a successful nanny requires more than that. Successful nannies are trusted companions to the children for whom they care. They are concerned about the children's emotional, physical, social and intellectual health and development and are committed to partnering with parents to raise happy and healthy children. Are you willing to be hands-on? It is a simple fact that some people just have a way with children while others do not. Think carefully about how much time you have spent with children in the past and how comfortable and positive your interactions have been. Nanny work is a hands-on experience, so you need to be prepared to deal with tears, hugs, dirty diapers and bad moods. How much time are you willing to commit to a family? When searching for a nanny position, it is important that you clarify how many hours you are willing to work per day and per week, how many years you are willing to commit to a family (most nannies agree to a minimum one year commitment) and how flexible you are willing to be with your schedule. Since some nanny employers work lengthy hours and weekends, it is vital to be up front about the time you are willing to commit to your work. Are you able to work long hours without the company of your peers? Since nannies don’t have coworkers, working as a nanny can be isolating. A nanny should be mentally and physically prepared for working alone without supervision or assistance. To combat isolation, nannies should make an effort to attend play groups, host play dates and go on outings, with the parents’ permission of course.